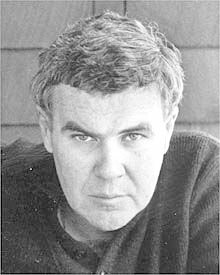 Raymond Carver was born on May 25th 1939 in Clatskanie, Oregon. Carver was first married at age 19 to a women called Maryann. He had two children, Christine and Vance by the age of 21. As a result to many fights with his first wife it ended in divorce. Carver went through many rough times during his life. The foremost I would say would have been alcoholism. He had several near death experiences due to his excessive drinking. The final ten years of his life he resided with Tess Gallagher in Port Angeles, Washington. Carver was diagnosed with lung cancer in September 1987. The cancer appeared as a brain tumor in the following month of March. Carver and Tess were married in Reno, Nevada, on June 17 during their final months together. Carver passed away in August of 1988. During Carver's life he had many accomplishments with his writing. He was twice awarded grants from the National Endowment for the Arts. Carver received the Mildred and Harold Strauss Living Award in 1983. In 1985 he received Poetry magazine's Levinson Prize. Carver also was awarded a Brandeis Citation for fiction in 1988. Carver's work has been translated into more than twenty different languages.